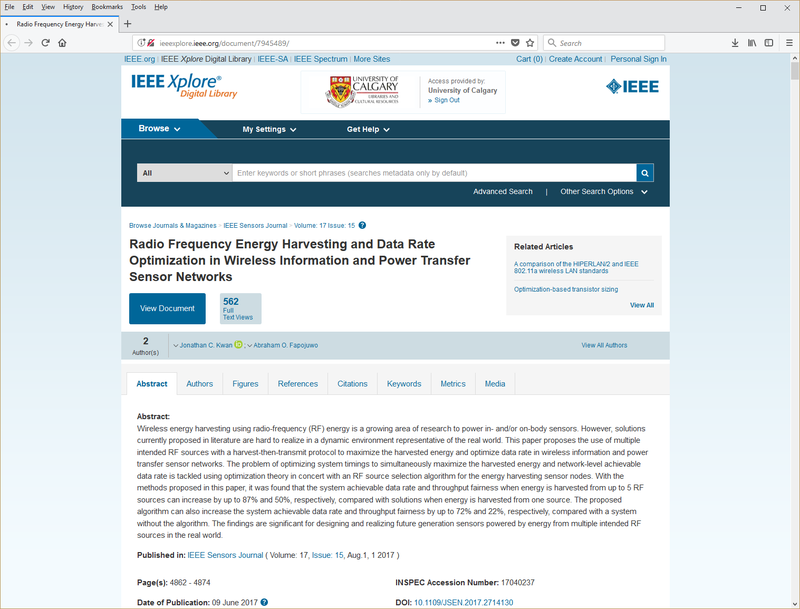 I just searched for "Radio Frequency Energy Harvesting and Data Rate Optimization in Wireless Information and Power Transfer Sensor Networks" in the Behind the Scenes page. Pretty legit Anyone know how to see it behind a paywall? Probably go to a university or something, they usually have subscriptions. As long as you connect from a university IP it should be viewable. Does it mean I can drop by a nearby university connect to the WiFi and you can view it? Time to make a run to UCLA this weekend. Haha, let me know what you think! This Introduction needs work - needs cooler stories. I have no idea what anything meant.